Lydia is a copywriter under iPrima Media. Lighting is a key part and necessity in the modern home. Without light, your home will feel very dull and depressing. Depending on factors such as shifting economies, demographics, and land shortages, it alters what kinds of lighting people are looking for in a home – among others. Minimalism seems to be the rage for a period of time. Recessed lighting is one of those items that have been around for many years. Once seen in office and hotel settings, it has also made its way to houses. Recessed lighting is the kind of lighting where it pushes for the “less is more” concept. A kind of lighting that is not (obviously) noticed can be a design choice too. Furthermore, it’s all about illumination, and no fixtures visible. This kind of lighting gives your room a reserved, relaxed atmosphere. Come back from a long day of work without needing flagrant light hitting you in the face with its strong glare. Fitting in to your contemporary home, recessed lighting can mean as much about design as it is about function. The only down side to recessed lighting is that you will need many of them to cover a room. It is normal to see up to 12 recessed lights in the ceiling of just that one room, and more for bigger sized rooms too. Chandeliers were once reserved for grand dining areas and entries. It’s one of those upscale lightings you find in swanky places. Now you find chandelier lightings making its way into normal homes. Find them in your home, as chandeliers are fast becoming more affordable. Embrace their modern-day trendy use in non-traditional spaces. Decorate and light up your bedrooms with chandeliers. Dine in style under such magnificent lighting. A sparkling chandelier is the impeccable way to romance such private spaces. If you feel you do not fancy wall-mounted or ceiling-mounted lightings, why not stick with the good old classic table lamps. Table lamps can easily change the mood in space and can have a big impact on the décor and ambience. With a table lamp, it can have so much impact on its surroundings. Modern-day lamps have come a long way in design. Go through home décor shops or online platforms. See the wide range of table lamp designs, you will be spoiled for choice. Table lamps are versatile and adaptable in their designs, as with a bit of customisation you can get a lot out of its lighting. Throw in a few practical materials and textures. Use metal, glass, or crystals for lamp bases. Antique and distressed finishes both give a more handmade look, as opposed to having a factory-made look. Get you a cleaner look by emphasizing on its shades. Having a larger scale also means you see more attention to the shades itself. The bases can be mixed material bases or novelty bases. Good news is that its overall look is uncluttered despite having embellishments. Its looks can be traditional or modern either. One of many people’s thoughts regarding industrial lightings is that it gives off a hipster vibe. It was a trend before, a few years ago. In 2019, it’s making its way back into the lighting trend that’s bound to be popular. Made of steel and aluminium, these lamps provide their services as functional across a wide space. It can do a lot more and combine perfectly with a modern style of living. It also helps create an eye-catcher in the room which is important too. Its new factory lamps come in large selections. With such a wide array of availability, one can find different lamps for different rooms of different sizes. You can find singular lamps that are modelled on the lighting in an industrial building rather lonely, grey and drab. If it is cleverly combined, it can become a stylistic device or a fashion accessory. Industrial lights can also be a way to deliberately differentiate themselves from the mainstream in terms of interior design. Industrial lightings can be old fashion, as they are more popular among older generations. It can be the perfect break in style here, which is why it gives off that hipster vibe. At the same time, it also fulfill its main tasks and provides light wherever brightness is desired. Keep in mind simplicity may mean more sometimes. You don’t need overly colossal, “in your face” kind of designs for lamps. 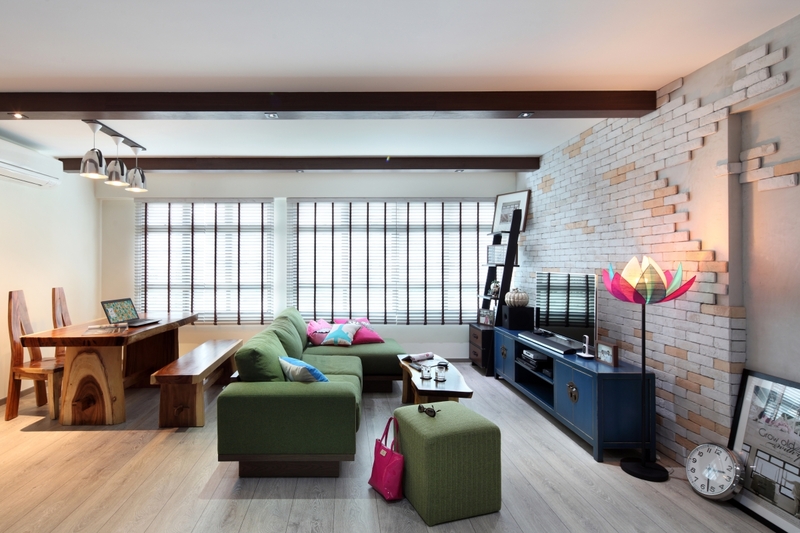 At the same time, you don’t need to minimalize your designs to an extent it looks like nothing in your home. Trends come and go every year, it’s fleeting. It changes every year. Keep to practicality and what you like. It’s all it matters.